A UK based client was looking to setup an online business to provide a solution for their customers to book deliveries online using a simple web interface. Our client also also want to keep cost to minimum and make use of templates and platforms ready available. 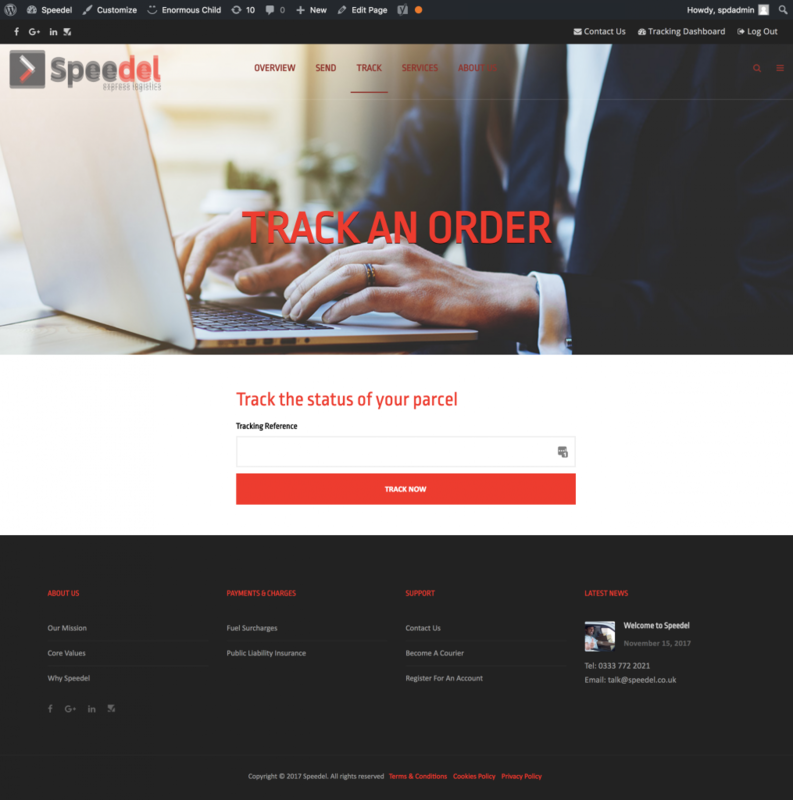 We Worked collaboratively with team at Speedel to come up with a WordPress platform using a purchased template, which was fully customised according to their requirements. Speedel provided us good quality images and text which we set on each page, along with ensuring that the website was mobile friendly. Our team worked with an API to integrate a carrier booking system into the website, which will give Speedel’s customers live parcel prices. 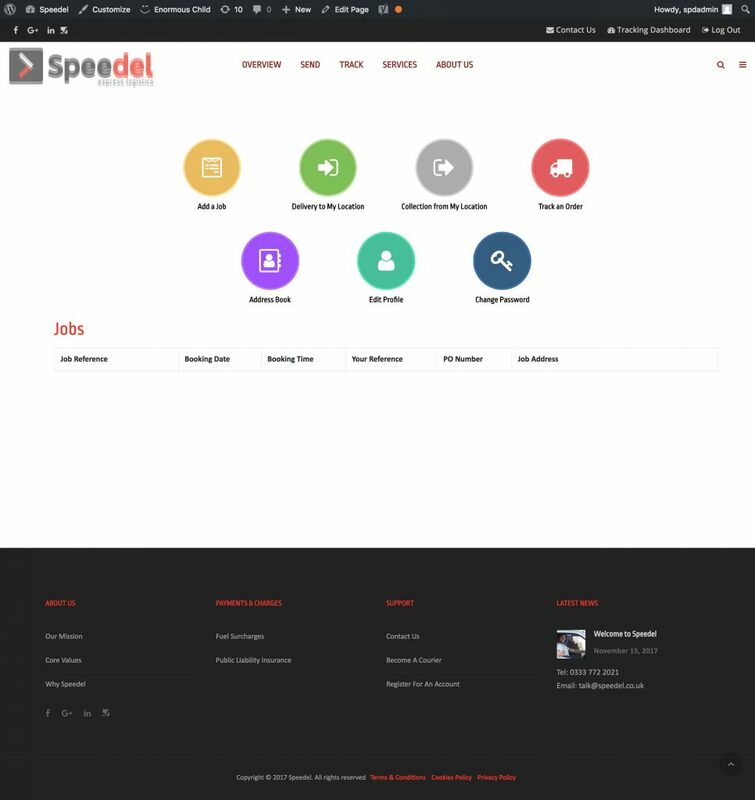 Responsive website which is compatible with different browsers, desktop, tablet and mobile devices, allowing new users to register and manage their bookings directly on Speedels website.